We’ll be feeling festive at our December meeting and making burrito pillowcases for a change of pace. Check out the links below to get an idea of what we’ll be making! The fun fabric combinations are limitless! Last month there was lots of laughing, cutting and sewing – a our favorite kind of meeting! It was fun to see the lantern style courthouse steps blocks coming together as everyone worked away. Bring your blocks to our next meeting and we’ll get them laid out. There are a couple of our finished quilts being displayed in the meeting room at the SW Library for their annual Art Show. The Fun Fish quilt is up and the Strippy ZigZags. Onto the plans for our next quilt! There was some enthusiasm for doing a wonky flower petal quilt, an idea that we have been kicking around for a long time. There are a few inspirations for this next quilt. And finally, we really enjoyed this variation which included a secondary wonky star pattern. Our next charity quilt will be based on this version. 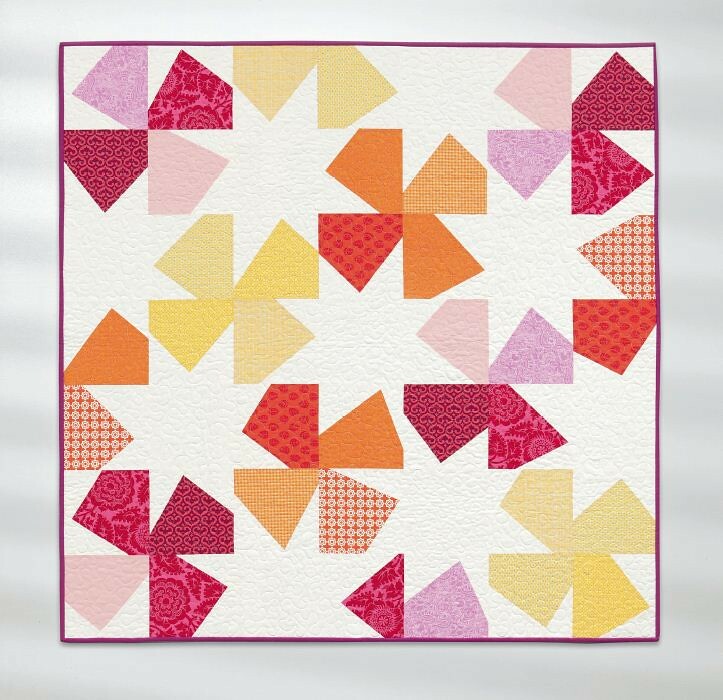 Her quilt highlights the starts instead of the flowers – fun to see the different looks possible! Lee has pieced together our latest set of blocks and with the sun shining through, it has the glow of a stained glass window. This evokes feelings of awe. Here is how far we got at the meeting tonight. Just 2 blocks more to finish and it will be ready for putting together! 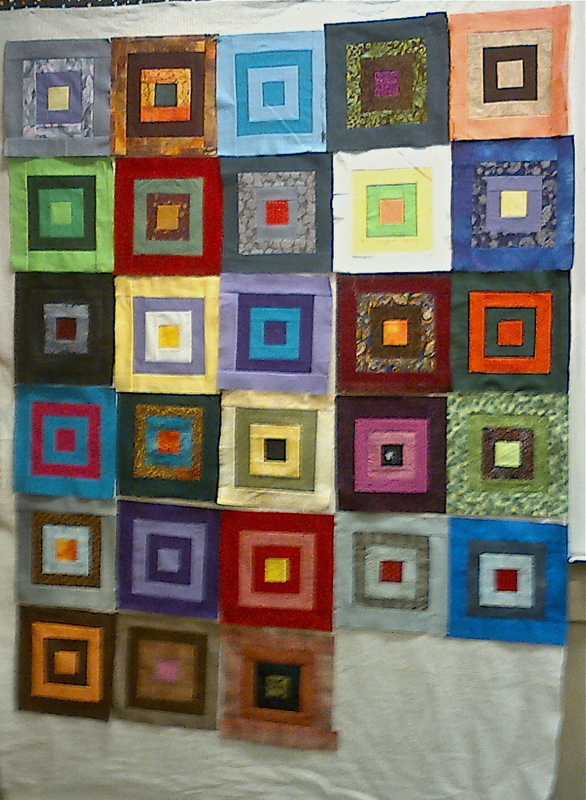 At the last meeting we chose a new block for our next quilt. The block size needed a little modifying for our purposes. Click the link below for the cutting and piecing directions.